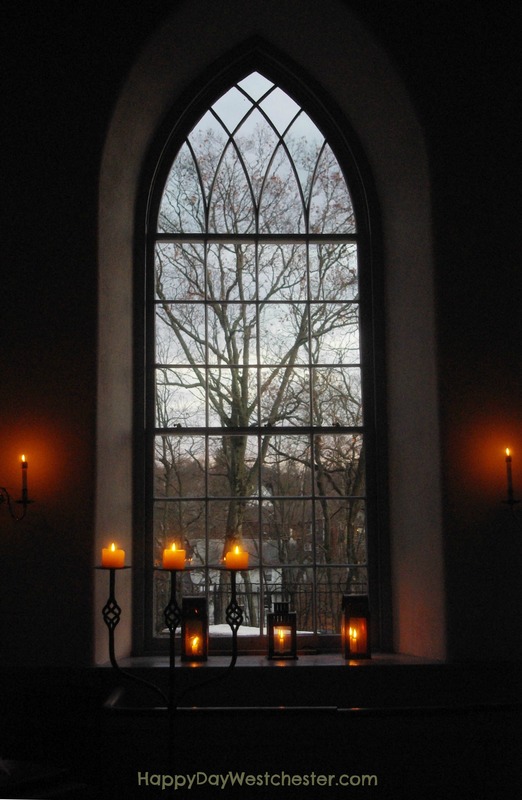 Yesterday afternoon, as the fading sun shimmered through the beautiful, arched windows of the Old Dutch Church in Tarrytown, the holiday season made it’sarrival. We attended Jonathan Kruk’s one-man adaptation of A Christmas Carol, and it was the best possible way to spend the day- ushering in the spirit of the season. Mr. Kruk, a master storyteller, transformed himself with incredible skill into Ebenezer Scrooge, The Ghost of Christmas Past, Tiny Tim, and every single other ghost and do-gooder in this show. My children, seeing a one-man show for the first time, were amazed at the way each character was brought to life with just a subtle change in the tone of his voice, a twist of his facial expressions, or a flourish of body language. We have seen Mr. Kruk before, and he has always been memorable and entertaining, but he outdoes himself with this show. His story telling mastery is perfectly showcased here, with The Old Dutch church as the backdrop. 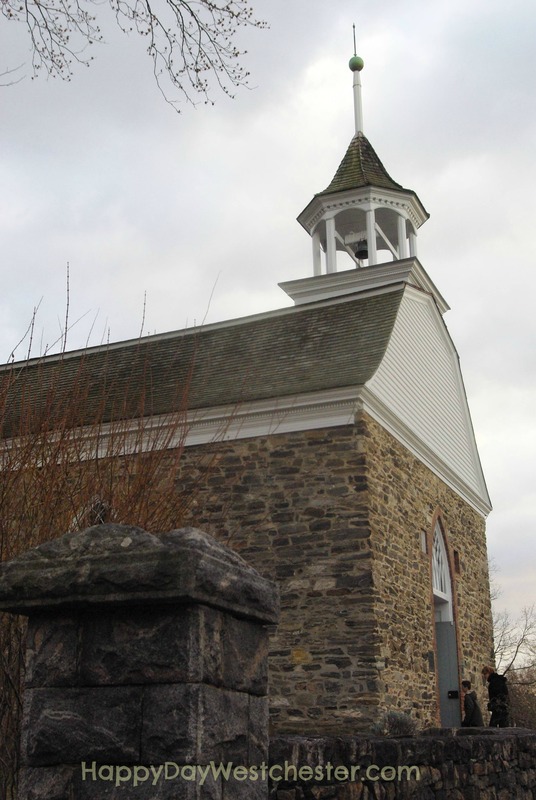 This old, storied church is the perfect setting for the telling of “A Christmas Carol”. 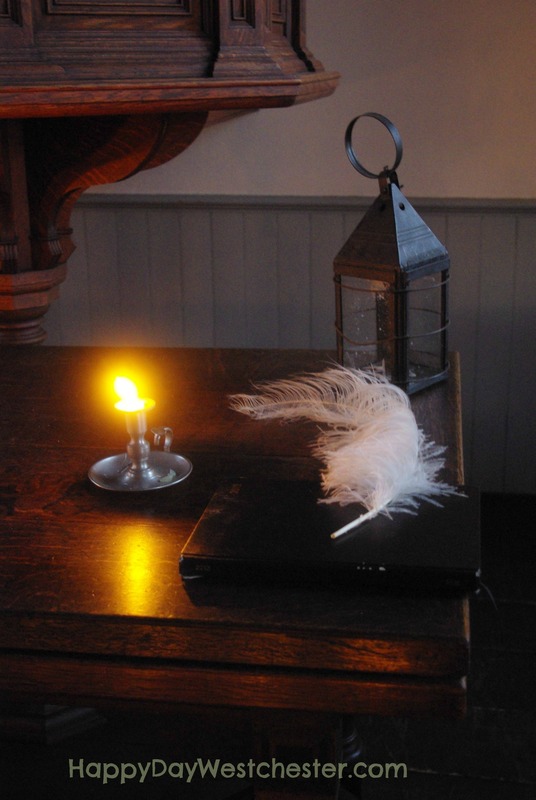 Candles light the space, the floorboards creak beneath your feet, and you can almost hear the ghosts rattling in the rafters…oh wait! That’s the organist, Jim Keyes. And a beautiful job he does, too, providing just the right touch of lovely background music – and some interesting sound effects – throughout the show. Apparently, the pipe organ is only one of his talents – he’s also skilled with a harp, a fiddle, chimes, and a coffee can full of chains. We arrived 20 minutes early for this 3:30 event, long enough for the kids to take a quick walk around the famous and hauntingly beautiful graveyard. Then we lined up for a brief- and cold – wait outside of the church, before we finally entered just a few minutes before showtime. The show began, unexpectedly, with a festive sing-along of holiday classics, led by the talented Jim Keyes, strumming a guitar and wearing a period top-hat to put us in the mood. Then, the main event. One scene of particular note: The Cratchit Christmas dinner. Mr. Kruk did such a wonderful job evoking this scene that I felt I was sitting at the table, chatting with the Cratchit children, and carving the goose myself. The play lasted about an hour, and it flew by in a flash. With grandma joining us today, there were 7 of us in total, and six-out-of-seven of us were completely engaged by the show. I consider that a huge success! I couldn’t be happier that we passed up the crowded malls and soggy leftovers in favor of this enchanting show. I highly recommend it! 1. If you are interested in seeing the show, get your tickets right now. This is a very limited engagement, and tickets do sell out. 2. Seating is first come, first serve. If possible, arrive early, and try to be towards the front of the line for better seats. For our show, the front right seats were the best. 3. The church is unheated and quite chilly. You’ll definitely need to leave your coats on- dress warm and plan accordingly. 4. The show is fine for all ages. A little seat-squirming won’t be a problem if you have “busy” kids, but talking during the show is a bit of problem in such a small venue. Plan to bring only kids old enough to be silent during the show. 5. Parking was across the street at Philipseburg Manor, with a short walk up the hill to the church. Just plan a few extra minutes into your trip for this. 6. Be sure to stop back to the Philipsburg Manor Visitors Center for complimentary hot chocolate, cider and cookies. A nice ending! ← Happy Day, Westchester! We have a lot to be thankful for. Love it! I saw this show in the paper and was thinking about going. Now after your write up , we’ll definitely go! I think there is a nice restaurant in sleepy hollow that was icing a groupon at Halloween. Maybe it’s still there now! Thanks for the details! Marla – so glad I could help. I know you’ll love the show. Thanks for reading and commenting! The Old Dutch Church inspires my best work. I love the intimate setting the ancient sacred space provides. Plus, performing Irving and now Dickens means I’ve got to give it all I have. Touching to find children enchanted by a my one person show! Yes, your performance was definitely inspired. Thank you for a wonderful show, and thanks very much for reading and commenting! Went online to look after your positive review and looks like there are some tickets available for the 22nd. Will try to squeeze it in. Thanks! Trina – yes, do squeeze it in – you will be happy you did! This sounds amazing! What a fantastic setting for a performance. I once saw A Christmas Carol performed as a one-man show by Patrick Stewart- incredible. I can’t even imagine how much this intimate, storied setting added to the atmosphere. I wish I could come to town to catch this! KJ- I also saw Patrick Stewart perform his one-man show, and I loved it. Mr. Kruk’s performance was equally wonderful, and you’re correct – the setting added tremendously to the experience. I hope you make it to town to see this show sometime soon. As the mother of Jim Keyes, I had the honor to be an invited guest at the first show on Friday, Nov 29. I was upstairs where Jim was playing the organ, violin and even a metal coffee can filled with what I assumed to be nuts and bolts to simulate the rattling of Jacob Marleys chains. Jonathan put on an amazing performance enhanced by Jim’s performance. Peggy, thank you so much for reading and commenting. Jim gave us a wonderful performance! I’m sure you were very proud!